Debt Free, Cashed Up and Laughing - The Cheapskates way to living the good life: I Confess, We Hate Kale! I Confess, We Hate Kale! Superfood. Good for us. Easy to grow. Versatile. I know all that. And I understand we should be including it in our diets. I don't really care. My family does not like kale. We've tried it. I've grown two crops in the garden in the hope that somehow we'd be able to overcome our immense dislike of this vegetable and choke it down. I've steamed it. I've dried it into chips. I've shredded it and added it to soups, stews, casseroles, pasta sauces, rissottos. I've stirred it through steamed brown rice with a spoonful of butter and a sprinkle of nutmeg. None of us like it. So I'm not going to fuss over it. It may well be the best thing since sliced bread, but it is not for my family. We eat a huge variety of vegetables that we really, really, really like. Skipping the kale isn't going matter at all. We love silverbeet. We eat loads of English spinach. We eat plenty of other greens like broccoli, bok choy, cabbage, cauliflower and different lettuces. We even eat brussels sprouts on occasion. But we will never again donate garden space or plate space to kale. Life is too short to eat food we don't like, even if it is supposed to be good for us. And I don't feel the slightest bit of guilt in saying we hate kale! So what food have you tried and really loathed? I hate kale too! I've tried it in very possible way: curries, veggie bakes, colcannon. I still hate it! Beetroot. Fresh, canned, mashed, roasted, whatever. Tastes like mud. Oh I love home pickled beetroot, so much more flavour than bought tins. And roasted, oh my goodness, so yummy. Thank you for telling the truth. Kale chips have the most revolting texture and have to be drowned in something else to make them palatable Why do we persist when our tastebuds tell us NO! My veggie garden is restricted to only what we eat. Me too Linda. Only grow food we eat and love, otherwise it is a complete waste of money, time and energy. We are so gullible- "super food" seems to be the phrase of the decade, although over time many of these "super foods" are proven to be no better than any other food. Agave springs to mind, although I love the taste and have it on my porridge every morning, and then there's goji berries - foul, dried up little dirty red things with no flavour at all that were all the rage a couple of years ago. Life is too short to suffer foods we loathe just because they are the "super food" of the moment. Speaking of celery, that is a food that I don't enjoy. I can grow it beautifully, and luckily I can share it with the chooks and add a little to juices. Otherwise I would not bother with it at all. My dad is of the same opinion as Kathryn with beetroot. He says it tastes too earthy, yet we love it. Only home grown and pickled though, we would never buy that horrible tin stuff anymore! Tania I've tried celery. It takes too long and too much space in the garden, as well as a lot of water and I can usually buy it for 99c a bunch a couple of times a year. When it's on special like that I'll buy 3 - 4 bunches then slice and bag it to use in casseroles, soups, pies, fried rice etc. I'm much happier doing that and growing something more expensive like broccoli or bok choy. Speaking of horrible tinned stuff, I have a dozen tins of beetroot in the stockpile at the moment. I didn't grow any this year and we eat a lot of beetroot, and we don't mind the Aldi brand, it has enough tang and spice to it to please our picky palates. Nice to know we are not alone in not liking a 'super' food. We cannot stand blueberries in this household. We have tried them and tried them. But no way! We do not like them. Tried one at a friend's place last season - Yep! still do not like them. 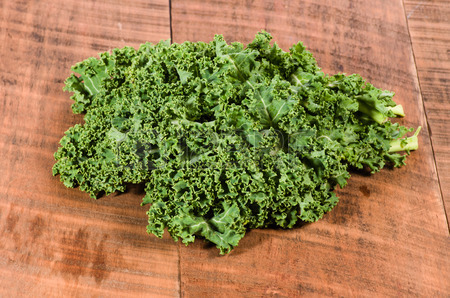 Haven't tried Kale - the texture puts me off. Love canned beetroot or any other way.